This is the result of some of my early experiments in Rhinoscript. 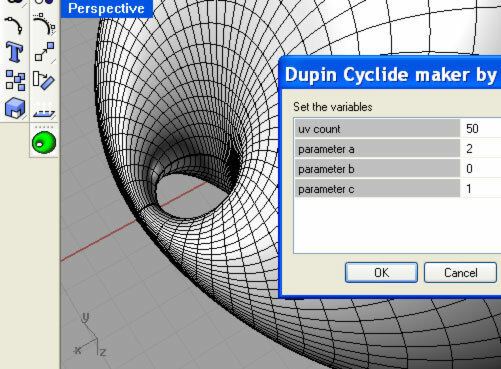 Its a plugin I wrote that creates a family of surfaces called the Cyclides of Dupin. 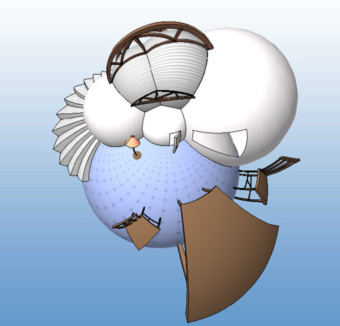 I have written a program for Rhino which performs the mathematical transformation of ‘inversion with respect to a sphere’. This transformation has many beautiful properties and reveals some surprising symmetries. It also relates in a deep and beautiful way to Einstein’s theory of Relativity. 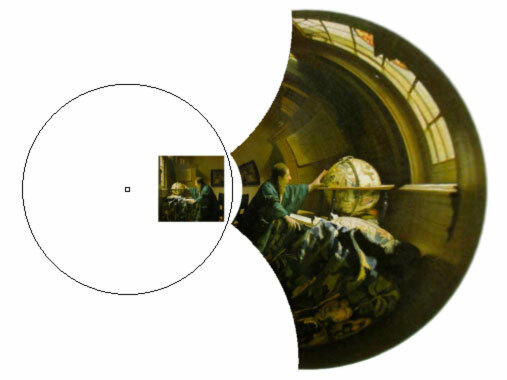 Have you ever wondered why perspective drawing using vanishing points works ? What are these mysterious points that all lines point towards ?, Where are they ? Find the odd one out! There’s a certain beauty in the inevitability of the 5 Platonic solids – we can say with certainty that they are all of the possible regular tilings of the sphere, and that they are the only possibilities. There are also many neat and beautiful relationships between them (such as the dualities, the space filling packing of cubes, or of tetrahedra and octahedra). So far, so tidy, but let’s take a look at the tetrahedron. Take 2 and join them face to face…take another and join it so they all share an edge…then another…and another…you are back to the beginning – full circle…almost!